Better tackle the task of completing your Christmas giveaways list early, as the most wonderful time of the year also happens to be the worst time to be out and about, with the horrendous traffic one has to endure to go shopping. But fret not, Entrepreneur Philippines rounded up five giveaways you may share to colleagues, friends and relatives without making them feel you thought of them at the last minute. 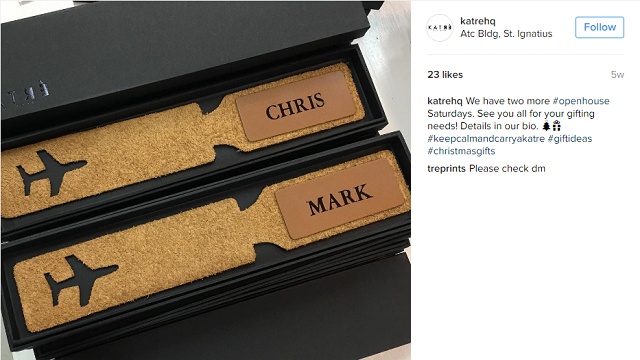 There's something about personalized items that easily warm the heart of the receiver. Local leather house Katre offers personalized gifts for as low as Php 200 depending on your item of choice. Selection includes bag tags, wallets and small pouches that are usually made of cowhide leather. True, one can never go wrong with food, but with all the choices available, what do you exactly settle for? 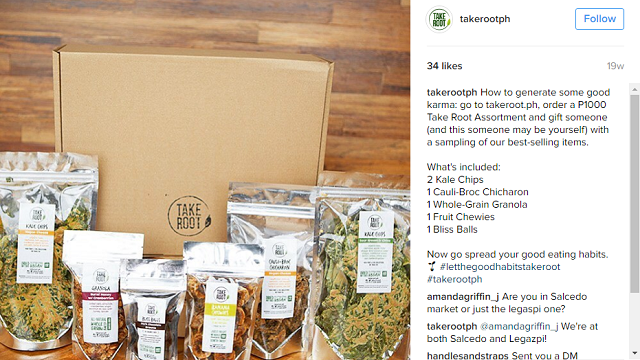 If you want to eat clean without compromising taste, the Take Root assortment is the best choice. For Php 1000, one can have a box full of kale chips, cauli-broc chicharon, whole-grain granola and fruit chewies. If you want to play it safe but still keep things sweet, perhaps Mrs. Fields’ chocolate chip gift sets can be your best bets. Some of its tin cans retail for as low as Php 245, and that already comes in special packagings. Since its boom last year, the craze for indoor plants has not waned one bit. And why should it be? They are low-cost and can be taken to almost anywhere, with proper care. 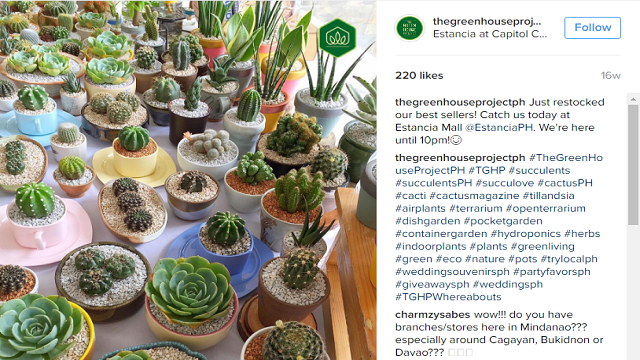 You can have these lovely plants for as low as Php 250. Mostly exclusive to females, some brands have curated gift packages made for men and for family. 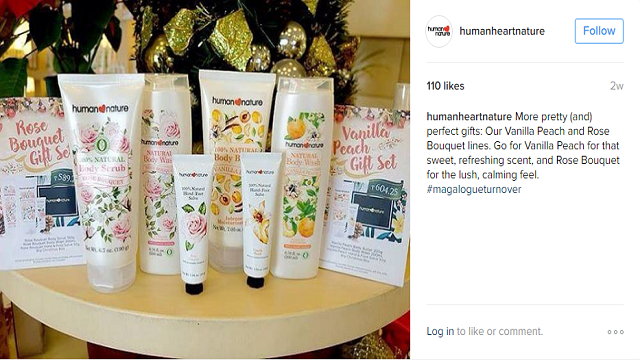 Eco-friendly local brand Human Nature has a wide-array of selections fit for females, males and even for kids. The gifts usually carry shampoos, lotions and disinfectants, items that can be used by the receiver all-year long. How efficient! Some say it’s thoughtless, while to others, it’s priceless. 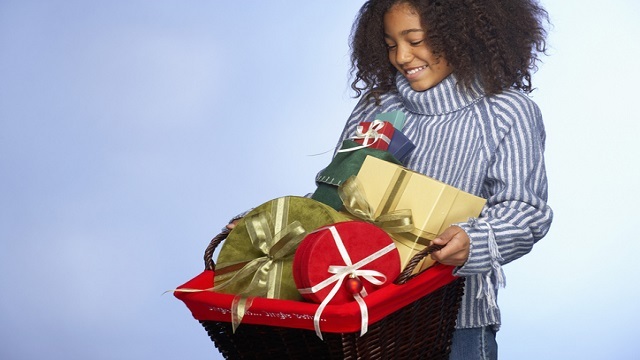 The gift of choice or gift cards are the safest giveaways for this holiday season. Just choose which brand best fits that friend or colleague of yours. Do they love books? 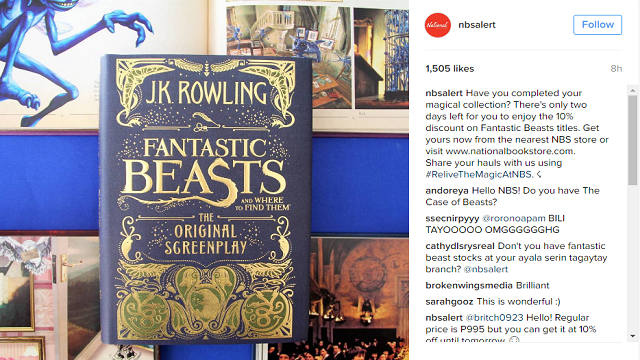 Give them a National Bookstore gift card! Do they deserve some me-time? A trip to The Spa wouldn’t hurt! The possibilities are countless.